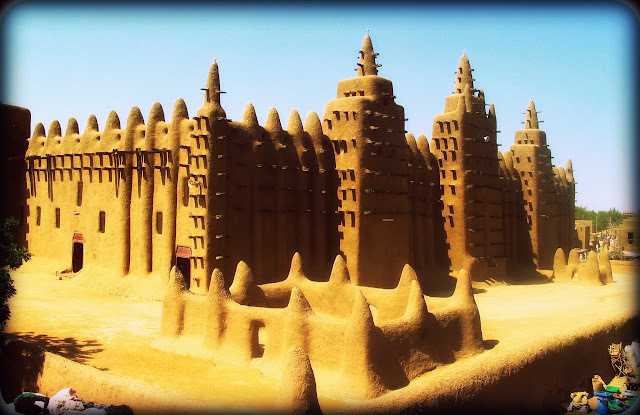 History | Virginia Friends of Mali History | Creating and promoting educational and cultural pathways to understanding and cooperation between the peoples of the African nation of Mali and the State of Virginia, USA. In November, 2005, the Prime Minister of Mali, Ousmane Maiga, visited Richmond, Virginia in conjunction with the opening of an exhibition on the History, Art and Culture of Mali at the Main Public Library. Prime Minister Maiga was accompanied by Mali’s Ambassador to the United States, Abdoulaye Diop, as well as Mali’s Minister of Agriculture and the Minister for Private Investment. Along with a group of Richmonders who would soon become the Virginia Friends of Mali, this high level delegation met with Governor Mark Warner and participated in a whirlwind tour of Richmond, which included a visit to a Chesterfield County Elementary school as a part of their Standards of Learning experience, and a meeting with representatives from the Virginia Department of Education. The delegation also met with university presidents and students from the Richmond area. Later that evening, the Prime Minister was welcomed at a gala reception by representatives of the Richmond Mayor’s office. The founding of Virginia Friends of Mali followed this remarkable visit to promote the exchange of cultures and communications between the African nation of Mali and the state of Virginia. Since then, we have sent citizen delegations to Segou and met with Segou’s Mayor and officials from the Segou region. Musicians from Virginia have performed at the Festival on the Niger, and Malian musicians have performed at Richmond’s Folk Festival. We are building all the connections that comprise a Sister City relationship.